Darren just can’t stop saving lives! You are here: Home / Stories about Donors / Darren just can’t stop saving lives! Darren has always been drawn to helping others. It was way back in 1993 when Darren first met Professor du Toit and her team who had visited Metro Ambulance Training College, where Darren had been a student. He says he remembers the day clearly – the SABMR team had come to talk about the Registry and the need to recruit volunteer bone marrow donors. Almost 20 years had passed during which time Darren continued his studies, specializing as a paramedic. Darren’s life-saving work has taken him to some remarkable places in the world – Sudan, Syria, Libya, Angola and Senegal – just to mention a few. How incredible then, that when he received a call from the SABMR to say he was a potential match for a patient, he was actually in South Africa on a year’s sabbatical. Late last year, when Darren was contacted by the SABMR, he was very surprised. After being on the Registry for almost 20 years, he had just assumed that his stem cells would never be needed. Darren agreed to go for further testing and a general medical examination. The SABMR found that he was indeed a 100% match for one of their patients. Darren was thrilled to be of help. 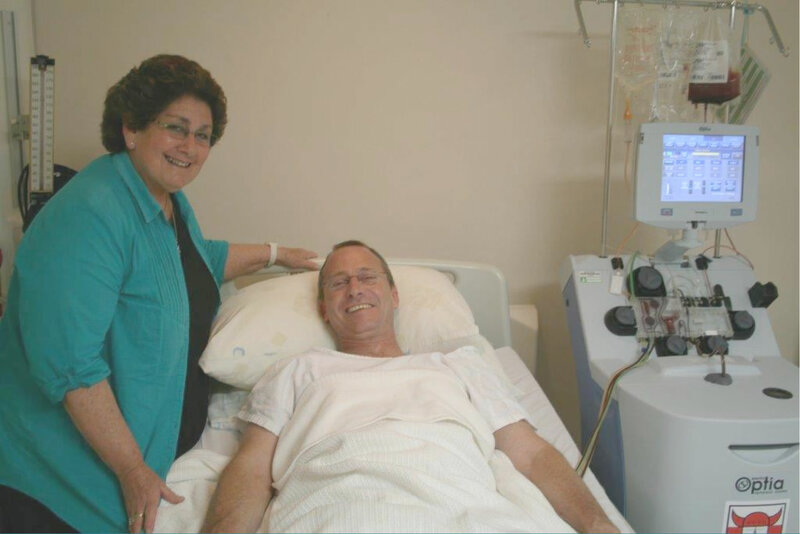 The SABMR caught up with Darren while he was having his stem cells collected. When asked about the procedure, he explained that the SABMR staff had explained all the details to him about what to expect, so that there were no surprises. About the recipient of his stem cells, Darren says “I have no clue about who will be receiving my stem cells, other that it is obviously someone that really needs it and I am happy to be able to help”. How amazing, that even when taking a break from his paramedic duties, Darren just can’t seem to stop saving lives!